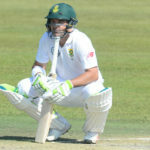 Dean Elgar will captain the Proteas in the final Test against Pakistan at the Wanderers, while Pieter Malan will be on standby as an Aiden Markram replacement. 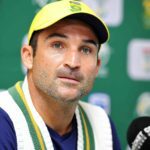 Proteas opening batsman Dean Elgar admits that luck played its part in the Proteas’ six-wicket win against Pakistan in the Centurion Boxing Day Test. 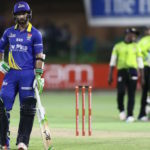 Proteas batsman Dean Elgar joked that he deserves a raise in pay for the punishment he receives as an opening batter. 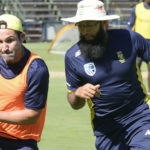 Dean Elgar believes the pace and bounce at Centurion will hassle Pakistan as the players make their final preparations for the first Test on Boxing Day. 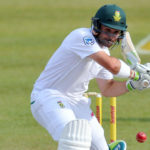 Dean Elgar has been added to the Proteas’ ODI squad to take on Zimbabwe in place of the injured Hashim Amla. 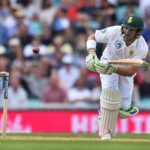 Proteas stars Keshav Maharaj, Dean Elgar and Dale Steyn were all in form with bat or ball in the English County Championship today. 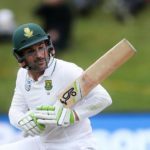 Proteas opener Dean Elgar has returned to the Surrey squad till the end of the County season. 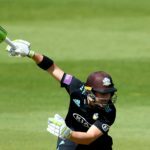 Dean Elgar fell 13 runs short of a century as he helped to push Surrey to a six-wicket win over Essex in the Royal London One-Day Cup. Rilee Rossouw is on a roll. 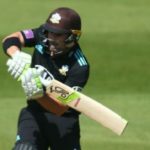 He followed up his 90 for Hampshire against Surrey with a bizarre Nelson against Essex: 111 off 111 balls with 11 fours. 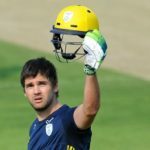 On 20 April, the Proteas openers Aiden Markram and Dean Elgar will walk out to take guard: Markram for Durham and Elgar for Surrey. 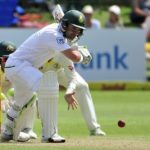 Dean Elgar is to join Morne Morkel at Surrey on a short-term contract to cover for the injured Mitchell Marsh. 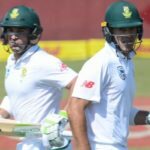 Dean Elgar says Australia’s submissive approach during the fourth Test is odd.